Whether for young kids, tweens or 'kidults', everyone will love using their imaginations with Plus-Plus Tube mixes. Just one simple shape will give them endless possibilities and hours of fun. Plus-Plus bricks are precision crafted in Denmark and are BPA-free and phthalate-free european plastic. Their vibrant colors will show off their creative flat mosaic or 3D designs, as well as stimulate their innovative talents. 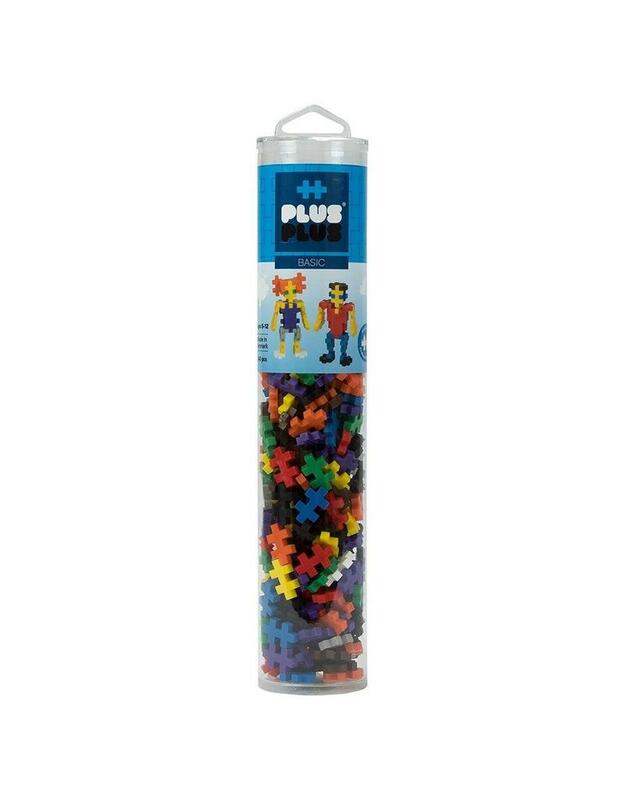 Plus-Plus tubes feature 240+ bricks in a reusable, travel-friendly container. Gift them as a party favor, package topper, new-big-brother or sister present. Or, just add some solid colors to your Plus-Plus collection! Designed and made in Denmark. BPA-free and phthalate-free.